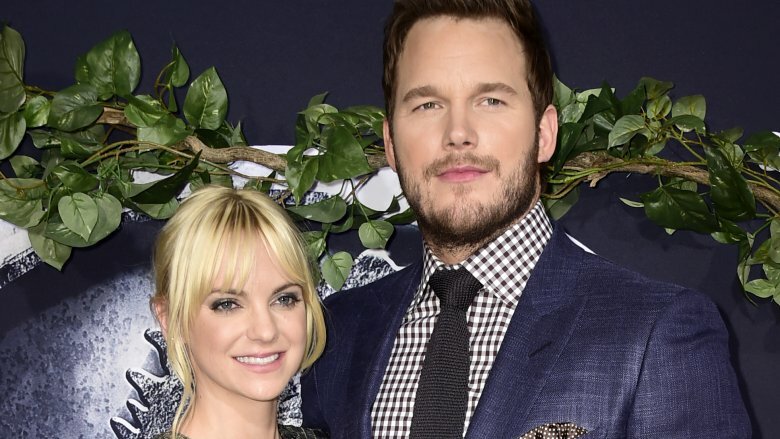 Chris Pratt and Anna Faris are separating after eight years of marriage. "Anna and I are sad to announce we are legally separating," the couple wrote on Facebook on Sunday, August 6, 2017. "We tried hard for a long time, and we're really disappointed. Our son has two parents who love him very much and for his sake we want to keep this situation as private as possible moving forward." "We still have love for each other, will always cherish our time together and continue to have the deepest respect for one another," the statement continued. A source for People magazine added Faris "often seemed unhappy" while Pratt was filming movies away from home. Pratt, meanwhile, had recently been seen not wearing his wedding ring. Last year, they were plagued by rumors that they were splitting. Faris spoke about them in December on her podcast, Anna Faris Is Unqualified, during which she admitted they left her "feeling so hurt." "I think it was a combination of things. I take pride in how great my relationship is with Chris, but having said that, of course in this crazy world where he's off doing movies and I'm in L.A. raising our child, of course I'm going to feel vulnerable, like any normal human would," she said (via People). Pratt also mentioned his hectic schedule on Instagram in April 2017, referring to the Guardians of the Galaxy, Vol. 2 press junket as a "whirlwind" but adding he was "grateful" to have his wife by his side. The couple met in 2007 and were married in 2009. They have one son together, Jack, born August 2012.